Today we had a sunny, dry and mild day at last, giving perfect conditions for tackling scrub at Lullybeg. We further broadened the track connected the excellent habitats at Lullymore and Lullybeg by cutting back scrub on both sides of the track. This intervention has a number of benefits. The track itself contains excellent habitat. It contains a high density of the nectar-rich perennial, Devil’s-bit Scabious, which is fed on by adult butterflies in July, August, September and October. 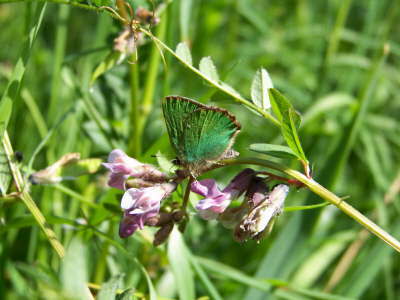 This plant is the only larval food plant of two important species of lepidoptera, the Narrow-bordered Bee Hawkmoth and the Marsh Fritillary butterfly. 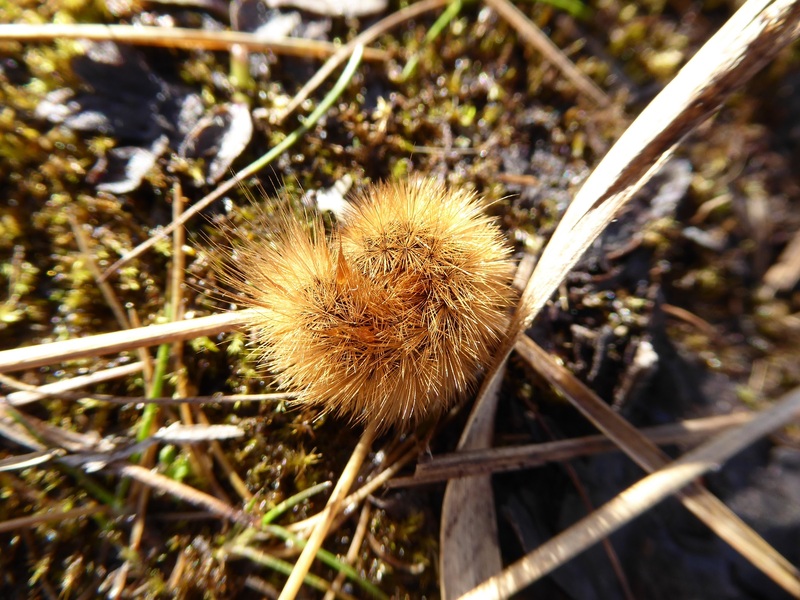 Increasing the levels of sunlight entering the track has allowed the Marsh Fritillary to move in to breed. We found two larval nests last autumn, and re-found these today. The nests are large, and the larvae were basking in today’s sharp late winter sunshine. Direct sunlight is vital to the larval development, and conditions created here by clearing work carried out in 2017 and continued today has yielded positive results. 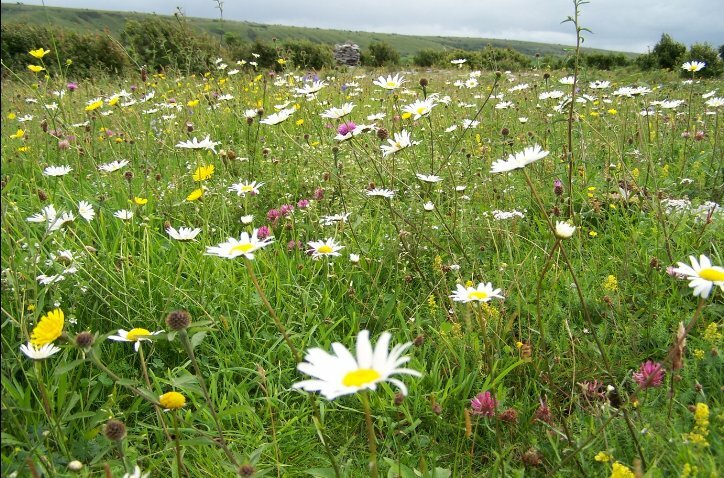 The habitat here approximates to the Annex I habitat under the 1992 Habitats’ Directive, Molinia grassland (grassland rich in Purple Moor-grass). 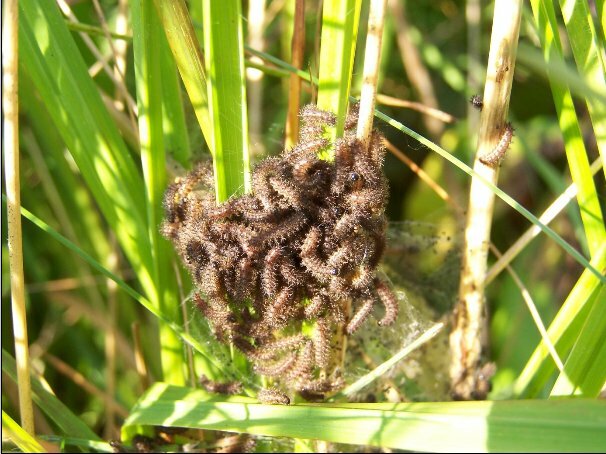 This grass dies back to a straw colour and this is vital for the Marsh Fritillary larvae, and other species’ larvae which use it as a basking site. Another larva to do this is the Ruby Tiger moth larva, which over-winters as a fully-fed caterpillar but which needs to bask for several weeks before pupating in April. This leaf litter is also used by Brimstone butterflies as basking sites in spring. Furthermore, the track contains two species of small tree, Purging Buckthorn and Alder Buckthorn, used by the Brimstone butterfly for breeding. This butterfly lays on unshaded plants, and prefers plants that are both unshaded and sheltered, making the plants growing here ideal for this beautiful and local butterfly. The shelter and the removal of shading scrub creates a warm micro-climate which draws in many insects, making the area a very attractive site for dragonflies to feed and to heat up. 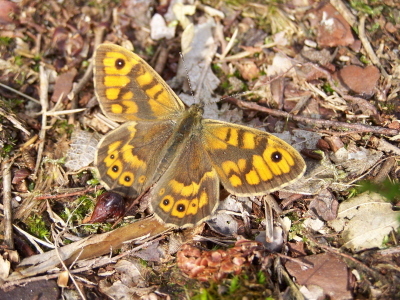 The scrub bordering the track creates a warm, especially sheltered woodland edge habitat, a natural patrolling edge for male butterflies engaged in mate-seeking. 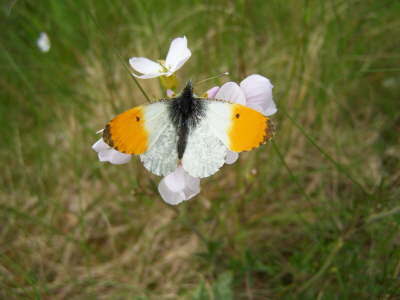 This is especially evident in the case of Orange-tips and Brimstones in spring, and Silver-washed Fritillaries in mid-summer. Finally, the track connects the rich grassland habitats in the wider area, allowing for connectivity and dispersal within the landscape. 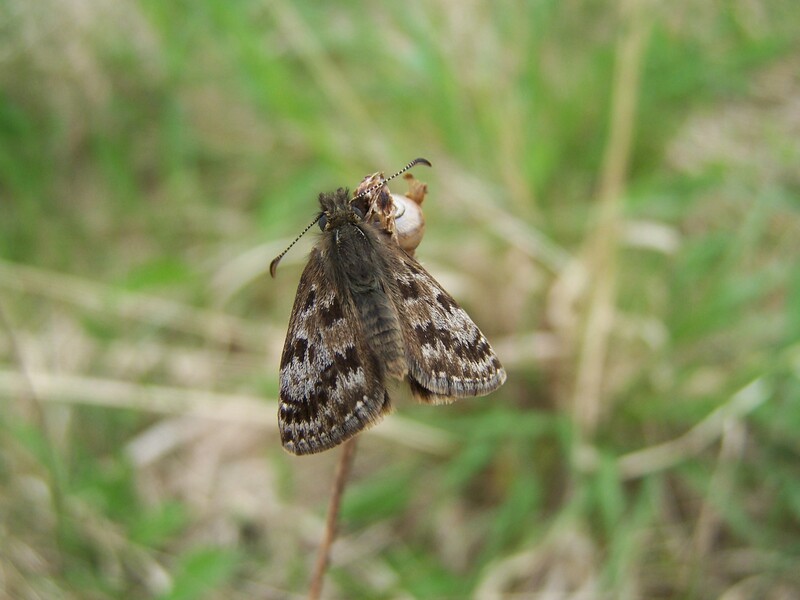 Evidence for the use of the track for dispersal has been observed in the Marsh Fritillary, a mainly sedentary butterfly which occasionally moves to colonise new habitat patches and maintain genetic variety by mating with individuals from other existing populations. 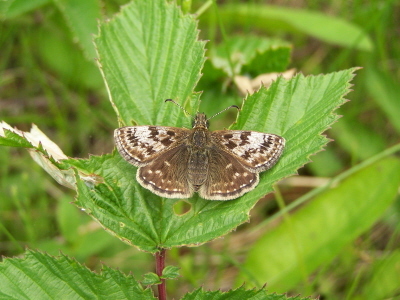 Marsh Fritillary butterflies have been seen entering the track, from both Lullymore and Lullybeg, suggesting a connection and interaction between the two populations. 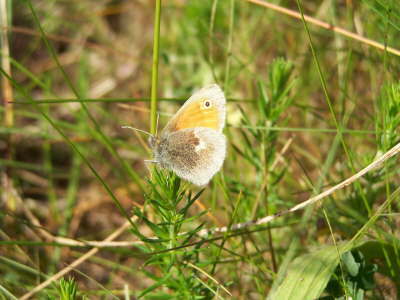 Research strongly supports the need for populations of this species to remain connected by dispersal, and barriers such as a block of woodland may be sufficient to isolate colonies, which has often proved to be very damaging to the long-term survival of this vulnerable butterfly. Later in the year we will get to observe the benefits of our work, for butterflies are quick to exploit new opportunities, making for a satisfyingly quick return on our investment! Thanks are due to all who support our work in any way, and particularly to our members who put in such great work today. Ruby Tiger larva basking, Lullybeg.©J.Harding. 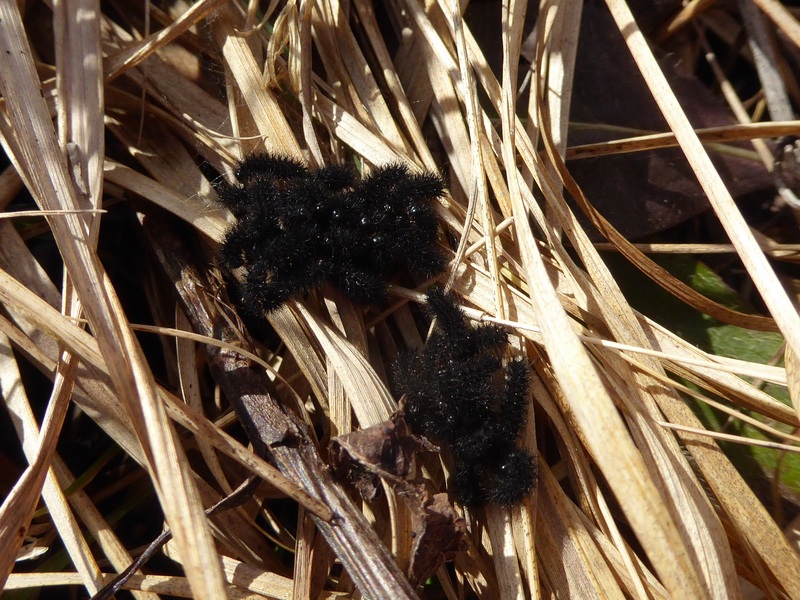 Marsh Fritillary larvae basking on Purple Moor-grass blades, Lullybeg.©J.Harding. 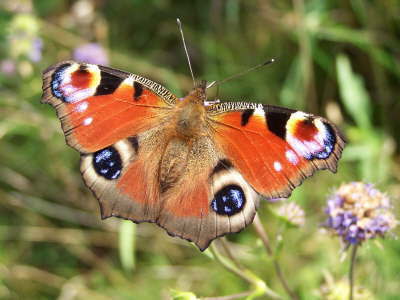 Previous PostPrevious What February means for Butterflies and Butterfly-lovers.